With over 200 pages we will try to explain to you the key to impress anyone you want and make him falls in love with you immediately so is this you ? "I don't get it.. I'm attractive, smart, sensitive, accomplished. Why doesn't he or she flip for me? Why can't I find love?" How many times have you beat your fists on the pillow asking yourself this question? You open this book skeptically, yet harboring hope, for the solution. 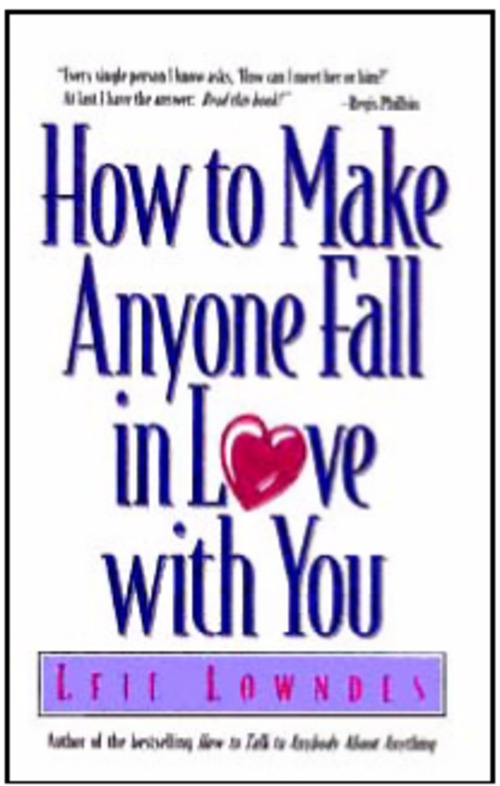 You read the title: How to Make Anyone Fall in Love with You. "That's a mighty big promise," you say. Indeed, it is. But the promise of this book is yours if you are willing to follow a scientifically sound plan to capture the heart of a Potential Love Partner. Why, when history is strewn with broken hearts, do we now claim the means to make someone fall in love with us? Because, after centuries of resistance, science is finally unraveling what romantic love actually is, what triggers it, what kills it, and what makes it last.